The Senate Finance Committee just concluded a two week overview of Alaska’s oil & gas production tax structure. The 101-style overview included presentations on oil production forecasting, industry employment, transportation costs, lease expenditures, tax credits and state revenue projections. We concluded with gas valuation and a multi-day review of how the addition of a large diameter natural gas pipeline will impact state revenues. The results were alarming. In terms of gas, the economic models from both the Department of Revenue and our non-partisan legislative consultants, show that when oil prices are high and natural gas prices are low, as they are currently, the state could lose as much as $2 billion annually when the gas pipeline is activated. The loss is a result of a structural flaw in the way oil and gas is combined in our current production tax. Because our tax formula links their value instead of taxing them separately, the state could receive less revenue once a gas line is built than we receive now from oil revenues alone. As North Slope oil production declines and gas production increases, this dilutive effect will only intensify. I believe we must decouple oil and gas taxes before May 1, 2010. That is the date our AGIA licensee, TransCanada, begins their “open season” which locks in our tax rates for 10-years for any company pledging gas to our pipeline. My office is drafting a bill for introduction within in the next several weeks that will tax oil and gas separately. There isn’t a more important issue facing our state and I will be working diligently to get it resolved before we adjourn on April 19th. The Governor signed Senate Bill 59 into law this week. 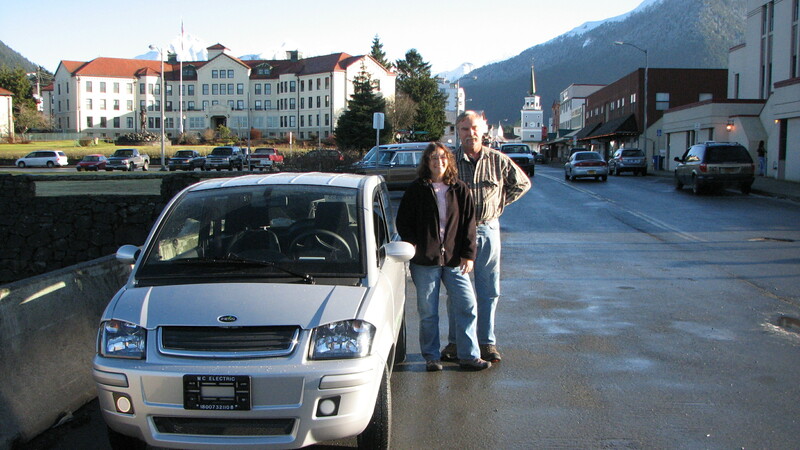 I sponsored this bill to expand road access for low-speed vehicles in Alaska communities. Electric car technology has advanced substantially in recent years. Low-speed vehicles can help reduce carbon dioxide emissions and provide cheaper transportation for Alaskans. There are currently over a dozen of these vehicles operating in Southeast. I’d like to thank to low-speed vehicle owners Megan and Walt Pasternak of Sitka for bringing this issue to my attention. I’m pleased the governor signed the bill and hope it will improve sustainable transportation in our region. I was pleased to introduce Senate Bill 244 to the Senate State Affairs committee this morning. I sponsored this bill along with Senator Dennis Egan of Juneau to clarify that the Governor’s official duty station is in Juneau. This is an important precedent in state law, and I’m pleased the committee heard this bill and passed it out. I will continue working with colleagues in the coming weeks to advance the bill in the legislative process. 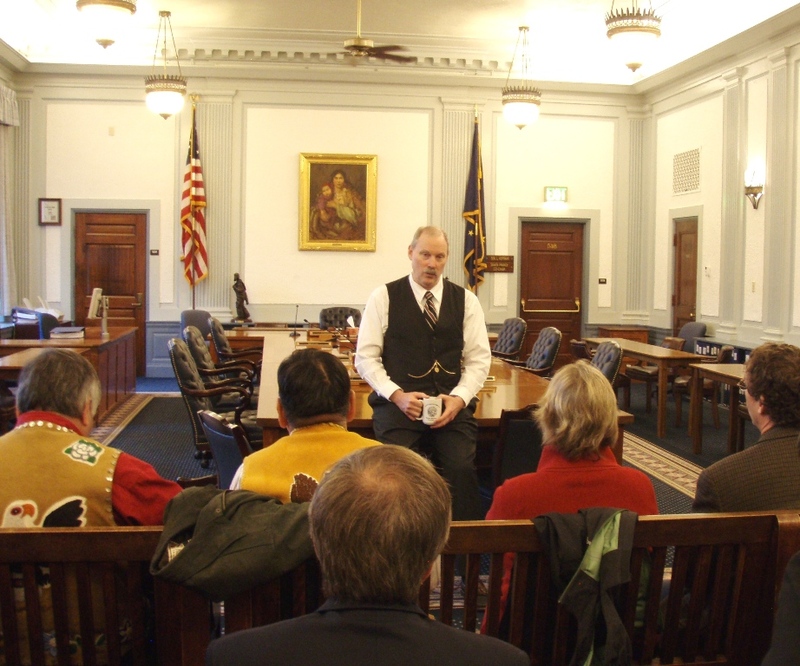 It was great to welcome Ketchikan’s Legislative Liaison to the capital this week. The group visited Juneau for their annual trip to present the community’s priorities to the administration and other legislators. They did a wonderful job and I’ve already received a number of positive comments about the visit. I would like to thank the delegation and the entire staff at The Prospector Hotel for hosting a great legislative reception. It continues to be one of the most popular events of the session. I introduced legislation this week to adjust the way members of the Alaska Board of Fisheries are selected. Alaska’s Constitution mandates our state’s natural resources be managed for a sustainable yield to benefit Alaskans. To achieve this goal, state law grants the Board of Fisheries wide authority to open or close fisheries and implement management plans. Alaska’s fisheries are world renowned and we need to keep politics out of management decisions; and nominate a diverse group of qualified individuals to the board. Currently the board’s seven members serve staggered three-year terms. 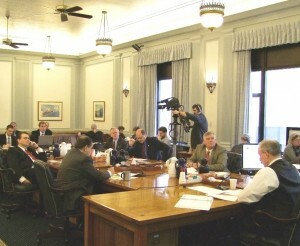 Each Governor has the opportunity to appoint multiple members of the board. Governors that serve two terms can appoint everyone on the board. The problem with this system of appointments is obvious. Depending on the Governor’s political affiliations, the Board of Fisheries can be stacked with people who support a specific political agenda. Too many people on the board who support one fishery over another is bad for the resource regardless of whether you are a commercial fisherman, a sport fisherman or a subsistence fisherman. This bill will ensure a more balanced board and ensure that those in control of our fishery resource are not unfairly biased in favor of one industry over another. I will work with colleagues in the coming weeks to advance the bill through the legislative process.